Olympic silver medalist Feyisa Lilesa, rear, of Ethiopia, hugs his wife Iftu Mulia, his daughter Soko, right, 5, and son Sora, left, 3, while picking up his family at Miami International Airport on Tuesday. Planned Parenthood fans, pro-life protesters rally across U.S.
Olympic silver medalist Feyisa Lilesa, of Ethiopia, carries his son Sora, 3, and pulls along his daughter Soko, 5, after picking up his family at Miami International Airport on Tuesday. “I think me taking the risk and putting family in that position and putting them potentially in harm’s way, it was a good lesson for a lot of people that you need to sacrifice in order for you to win some concessions and change your situation,” Lilesa said. 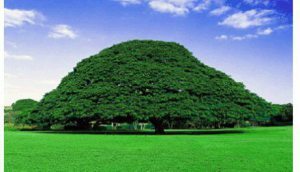 “In that sense, it inspires people to fight for their rights and resist the government in Ethiopia. It also led to greater awareness about the situation in Ethiopia. “I’m not too hopeful the system will be changed in the next three years and I will be in a position to run for Ethiopia. We will have to wait and see,” said Lilesa, who plans to run in the London Marathon in two months. BBC: World-famous Ethiopian runner Feyisa Lilesa has reunited with his family for the first time since going into exile in the US after protesting against the government at last year’s Olympic Games in Rio, the New York Daily News reports. The Olympic silver medalist who became an international figure by crossing his wrists in protest finally reunited with his family. His wife, daughter and son flew into Miami, where the 27-year-old athlete met them after a separation of about six months. Back in August, Feyisa became the first Ethiopian to finish in the top two of a men’s Olympics marathon since 2000, claiming silver behind Kenya’s Eliud Kipchoge. 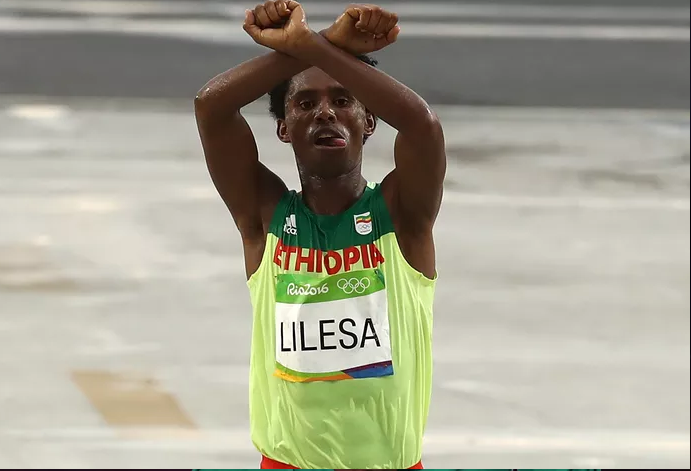 As he crossed the line, he lifted his arms in an X-shape above his head in solidarity with the Oromo people, the country’s largest ethnic group, who have suffered a crackdown at the hands of the Ethiopian government. The country’s officials said the runner would be welcomed home from Rio as a hero, but Feyisa said he might be killed if he returned.